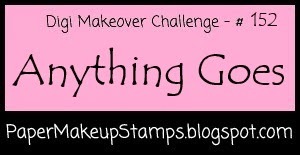 Paper Makeup Stamps: Digi Makeover Challenge #152 - Anything Goes & September Guest Designer Call!! Digi Makeover Challenge #152 - Anything Goes & September Guest Designer Call!! Thank you to everyone that played along in our challenge last week! Some very gorgeous creations entered! It's time to have our September Guest Designer Call!! 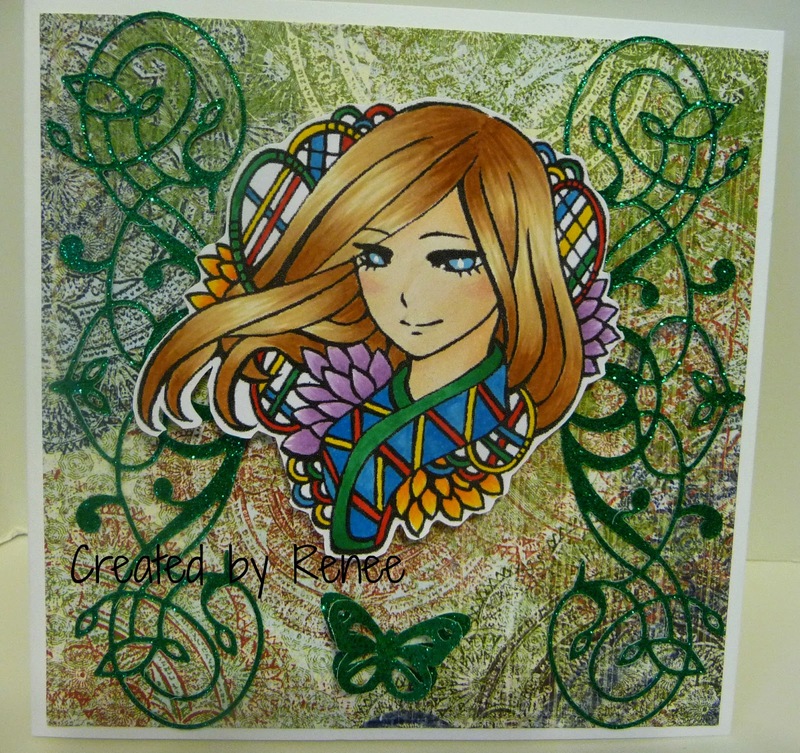 We are so excited to have Renee as our guest designer this week! 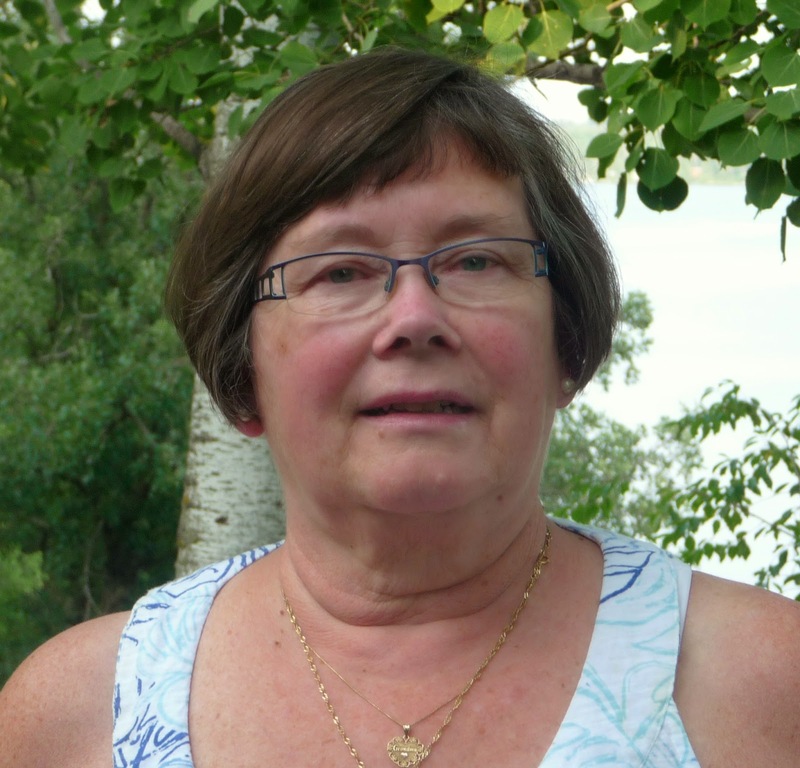 I am retired & living the dream in cottage country with my husband of 43 years. We have 2 grown children who have given us 3 gorgeous grandchildren. I have been crafting all my life but when my first granddaughter was born I started scrapbooking & eventually card making. I LOVE card making! A few years ago I discovered the wonderful world of digital stamps & my collection is quickly growing. My card making style is fairly clean & simple....I like the image to do the talking instead of covering it up with embellishments. I had lots of fun coloring this beautiful image & hope you like my card! Thanks so much for choosing my card for the prize! I will send an e-mail soon. Thanks as always for the fantastic inspiration! Gorgeous DT Creations!! Love AJ's cards with that adorable witch! Fantastic!! Thanks for another fun challenge! Stunning creations by the team...Talk about gorgeous coloring! Thanks so much for the challenge! Great creations. Thank you for the challenge.